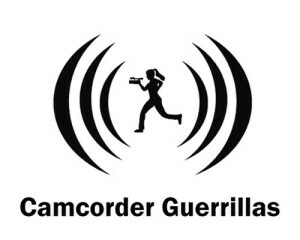 The Camcorder Guerrillas collective was formed during weekend collaboration between Indymedia, Glasgow Media Access Centre and a group of local professional filmmakers in 2003. The weekend of workshops and screenings and master-classes served to teach, inspire and inform people about grassroots video activism. It was so successful and inspiring that a small group decided to carry on and in 2004 got a permanent office in Glasgow Media Access Centre. They attracted funding to pay for an edit suite and a part-time administrator and went on to make 8 professional quality campaigning films and 10 short campaign reports as well as organizing dozens of screenings, exhibitions and events in various venues throughout Glasgow, Scotland, the UK and beyond.